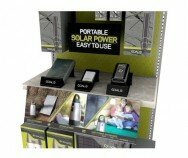 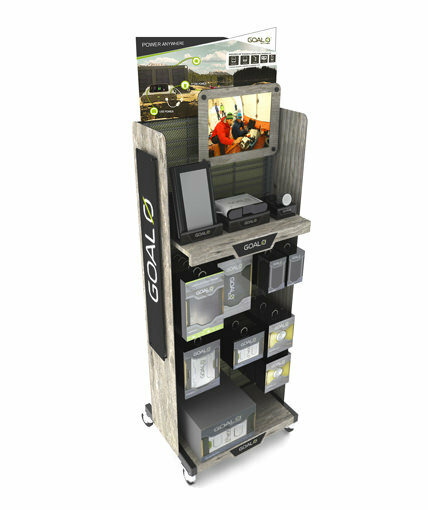 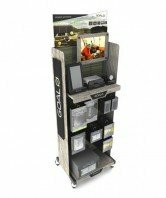 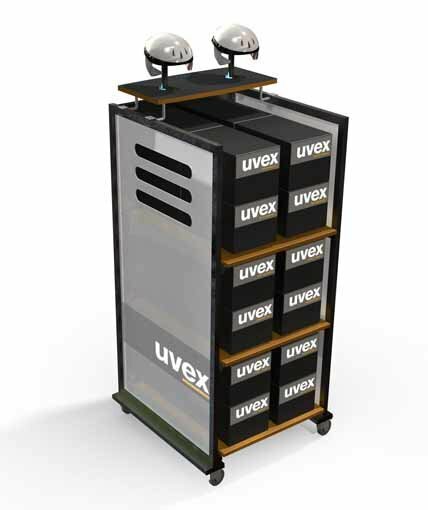 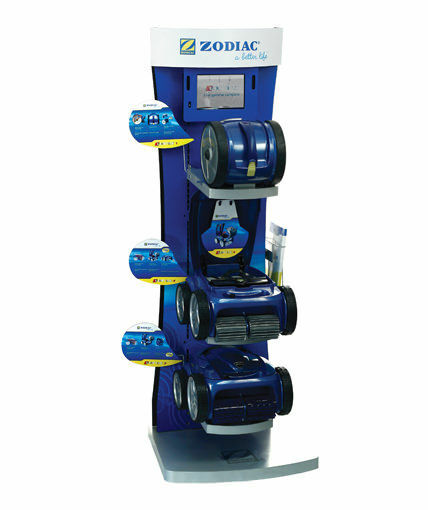 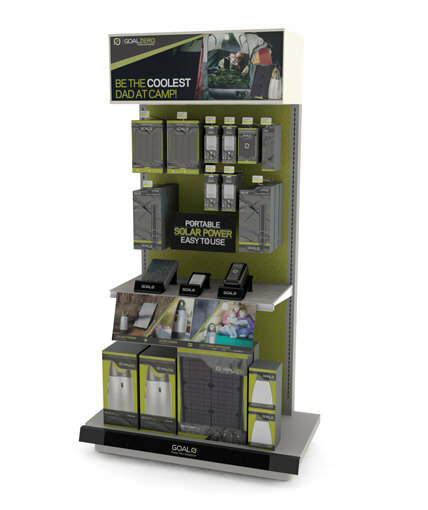 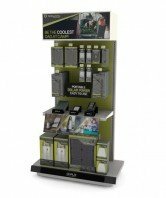 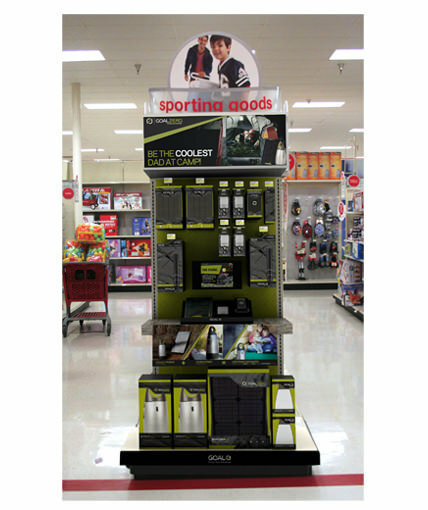 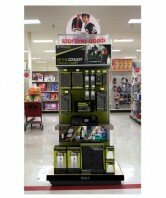 Floor merchandiser for Goal 0’s line of portable solar-powered battery solutions. 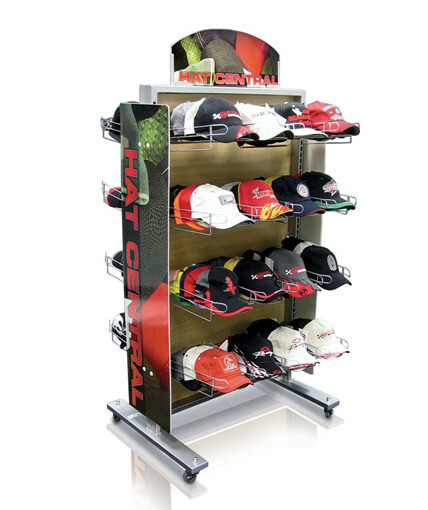 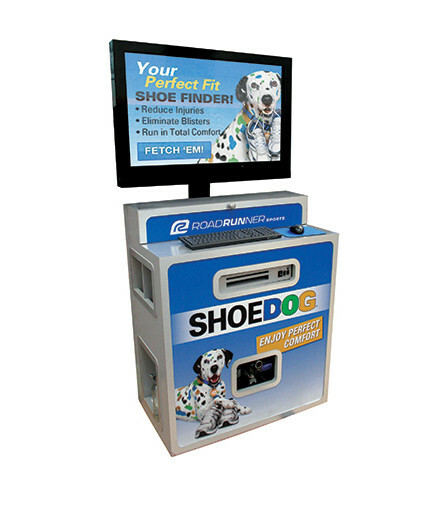 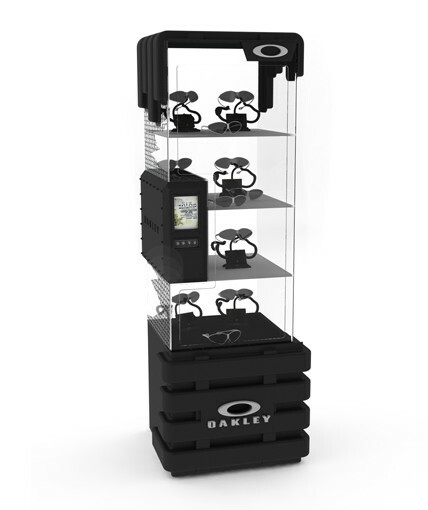 Features wood base, side panels, shelf, main grid panel with digitally printed graphical backdrop, header shelf branding, tethered product to invite shopper engagement, and a digital monitor encased in a wood frame. 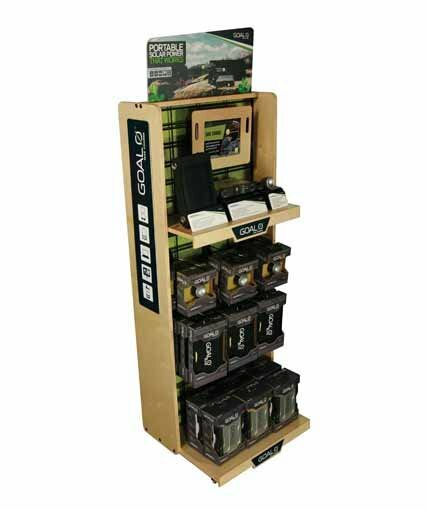 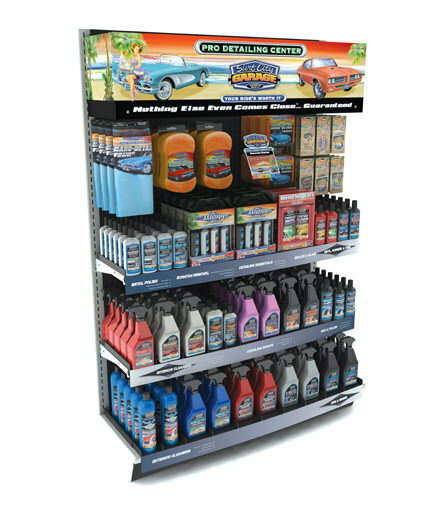 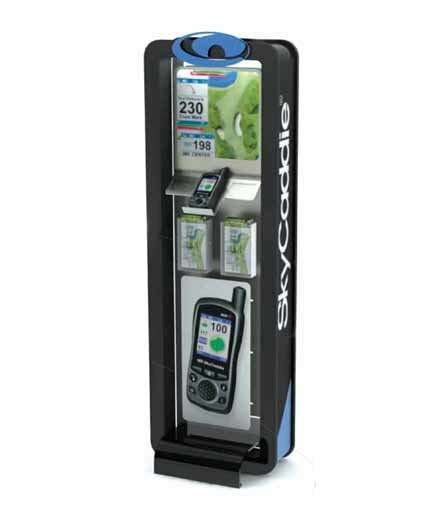 Category: Uncategorized Tags: Custom Retail Displays, point of purchase display, Wood Display Brand: Goal 0.